The Delaware Veterans Day Parade is scheduled to begin at 1 p.m. on Saturday, Nov. 11. The parade will step off from the Ohio Wesleyan University campus and end at the Delaware County Fairgrounds. Organizers said the parade will feature four grand marshals, including two World War II veterans, six high school bands, and more than 500 participants. M.A.S.H. Pantry will conduct a food drive to collect non-perishable food items. For information, email delawareveteransparade@yahoo.com. The City of Powell Veterans Day ceremony will be held at 11 a.m. on Friday, Nov. 10 at the Greater Powell Veterans Memorial in Village Green Park, 47 Hall St. Craig Carmichael will be the keynote speaker. Village Academy students will perform musical selections. Police Chief Gary Vest will recognize recent bricks that have been placed at the memorial. A luncheon will be held in the Powell Municipal Building East Room for all veterans and military personnel and their family members and friends. In the event of inclement weather, the program will be moved inside to the Municipal Building Council Chambers. The Sunbury Halter & Saddle 4-H Club will honor veterans of Korea and Vietnam who are buried in Sunbury Memorial Park during a ceremony planned for 2 p.m. on Sunday, Nov. 12. American Legion Post 457 and Big Walnut Area Historical Society will also participate in the event. The club invites area veterans to a supper in Sunbury Town Hall following the ceremony. Ohio Wesleyan University will present a Chamber Orchestra Concert at 8 p.m. on Tuesday, Nov. 7 in Gray Chapel, 61 S. Sandusky St., Delaware. The free concert will be conducted by OWU faculty member Lucy Ginther. Preservation Parks presents Homeschool at the Farm: Treasure Hunt at 10 a.m. on Wednesday, Nov. 8 at Gallant Farm, 2150 Buttermilk Hill Road, Delaware. Participants will explore the farm and uncover the hidden gems there by following the clues and working as a team. All participants will share the treasure. Free for ages 6-12 with an adult; no registration required. For information, call 740-524-8600 ext. 5, or email contactparks@preservationparks.com. Preservation Parks presents Preschool Farm Friends: Scavenger Hunt at 10 a.m. on Thursday, Nov. 9 at Gallant Farm, 2150 Buttermilk Hill Road, Delaware. Children will have an opportunity to follow clues to find and learn about the tools that make jobs on the farm easier. Participants who find all of the items can earn a prize. Free, ages 4-5 with an adult. No registration required. Jennifer Windus of Wild Ones Columbus will present the program “Identification of Invasive vs Ohio Native Plants” from 10 a.m. to noon on Saturday, Nov. 11 at Shale Hollow Park, 6320 Artesian Run, Lewis Center. For information contact Wild Ones Columbus President Cecelia Jokerst at 614-203-3479 or cejokerst@aol.com. Information is also available at columbus.wildones.org or preservationparks.com. A benefit fundraiser for a Delaware senior citizen is planned for Friday, Nov. 10 from 5:30 to 9:30 p.m. at Blend of Seven Winery, 1400 Stratford Road. The suggested donation is $20 per person, but any contribution will be accepted. All donations will help pay medical and personal expenses. The benefit includes a chili cook-off. Prepare your favorite chili recipe, and bring it to the winery by 5:45 p.m. to enter. Those in attendance can sample all entries for $7 ($5 goes to charity, the rest covers cost of supplies) and place their ballots. Local band, 3 of a Kind will perform from 7 to 9:30 p.m. For information, contact Bob Claymier at bobclaymier@gmail.com. 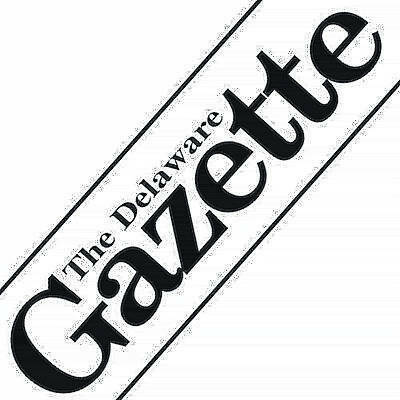 Email Delaware County news and notes to delnews@aimmediamidwest.com.